May 5, 2017. Schaslyve. Prince Arena. 150 spectators. 20 degrees. In the table, the opponents are divided by the gap of three positions and 26 points. Shakhtar (61 points) sit in the second spot, Zorya (35) in the fifth spot. This season, the teams have met three times already: the Pitmen won at home (2-0) and away (3-0), with another match in Zaporizhya ending in a draw (0-0). 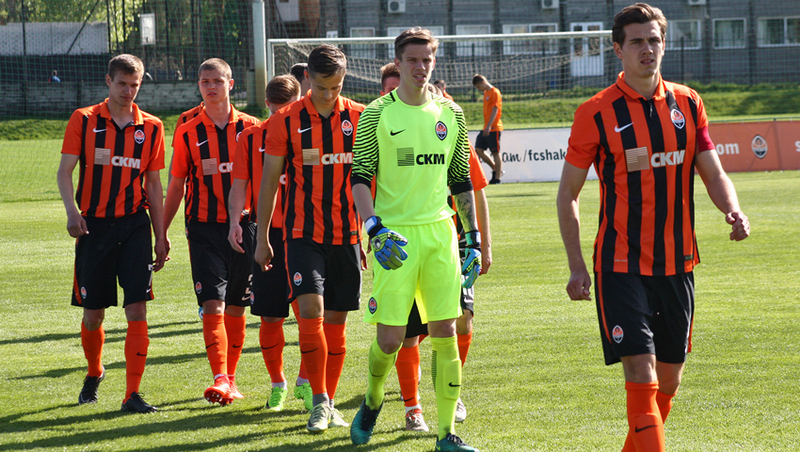 In the previous round, the Luhansk outfit defeated Olimpik (3-1), while Shakhtar beat Karpaty (1-0). In comparison with that meeting, Valeriy Kryventsov made two changes to the starting line-up: he fielded Andrii Korobenko in midfield instead of Oleksandr Pikhalyonok, with Oleksandr Hlahola replacing Giorgi Arabidze at right wing. The Pitmen got off to a very active start and in the opening fifteen minutes they practically didn’t let the visitors leave their half. The Donetsk team combined a lot, trying to rip open’s tight defence by crosses down the wings and splitting passes between the thirds, still failing to bring a striker through to a good scoring position, with numerous attempts to strike from afar being blocked by the defenders. In one of the episodes, Andrii Boriachuk excellently made himself available near the right corner of the penalty area, received a pass from Kiryukhantsev and shot into the near corner to see the ball go just inches wide. Midway through the half, the opponents managed to move the play away from their goal, but Shakhtar continued to enjoy a tangible advantage. A blistering attack could be successful when the Orange-and-Blacks delivered the ball into the box through several passing moves and Yurii Hluschuk struck from behind the defender, with the rebound making the shot less powerful and allowing the goalkeeper react. A couple of times Viacheslav Tankovskyi tried his long-rangers, still failing to open the scoring as well. After the break, Valeriy Kryventsov's team added high pressure to ball control and completely deprived the opponents of space. Both flanks became even more active, with Kiryukhantsev making several dangerous slaloming runs down the right wing. He was allowed to produce an accurate shot only once, with Topalov palming the ball over the crossbar from the goal-line. However, at the end of the hour the visitors could not stand the pressure any more. In front of the penalty area, Hlahola played one-two with a teammate and brought Boriachuk with a splitting pass through just for the latter to find himself one-on-one with the goalkeeper. Andrii easily got rid of the marker and Herasymenko struck home to make it 1-0. The Donetsk striker could score more goals. Once again facing the goalkeeper of Zorya, he lobbed the ball right into the net. And a little later, while getting on the end of Topalov’s cross, Boriachuk struck just home from close range, but the opponents cleared the ball off the goal-line. Toward the end of the encounter, the Luhansk side were advancing more and more, with Oleh Kudryk rescuing the Pitmen in one of the episodes after a one-on-one situation. They managed to double the lead and set the final score three minutes away from the final whistle. In this case, Kryvtsov’s substitutions were effective. Denys Arendaruk sent a cross to thepenalty area, with Danylo Ihnatenko sending the ball home near the far post. 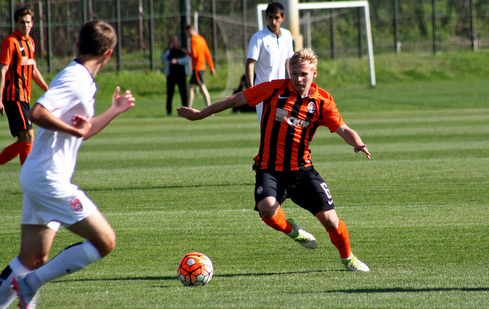 2-0 - Shakhtar once again proved stronger vs Zorya. 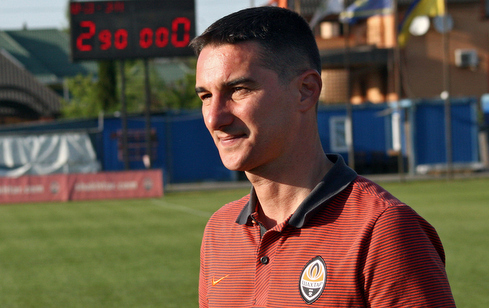 In the next match on May 12, the Orange-and-Blacks will meet with Chornomorets in Odesa. - This is the fourth match versus Zorya this season, with neither of them being like the previous one. Many teams, who come to play us, build up a saturated defence, and it takes time to carve it open. The Luhansk side are well prepared physically; they produce organized defensive performance, so we did not manage to score in the first half. However, we have dominated throughout the entire game today and deservedly achieved success. In the second half, we continued to demonstrate combination football, forced the opponents to move a lot without the ball, which is very exhausting, and threatening moments started to come our way. Apart from two goals, we had nice clear-cut efforts: the same Boriachuk could have scored three more goals, with other guys having their chances. We played plenty of clever flank passes, and just luck saved the visiting team somewhere. In general, we displayed a good game organization and deserved this victory. I want to commend Andrii Boriachuk separately. He has not scored for a long time, so let this goal give him confidence in the coming matches and in his future career.